I did these nails with it the other night and I could have done all the lines on each finger all at once without curing each line individually. I did kind of an outline of the pattern first, filled in the coral and grey areas, and then went back over and darkened the lines. But I was able to do all the lines and they didn’t run all over the place and I only had to cure them once! 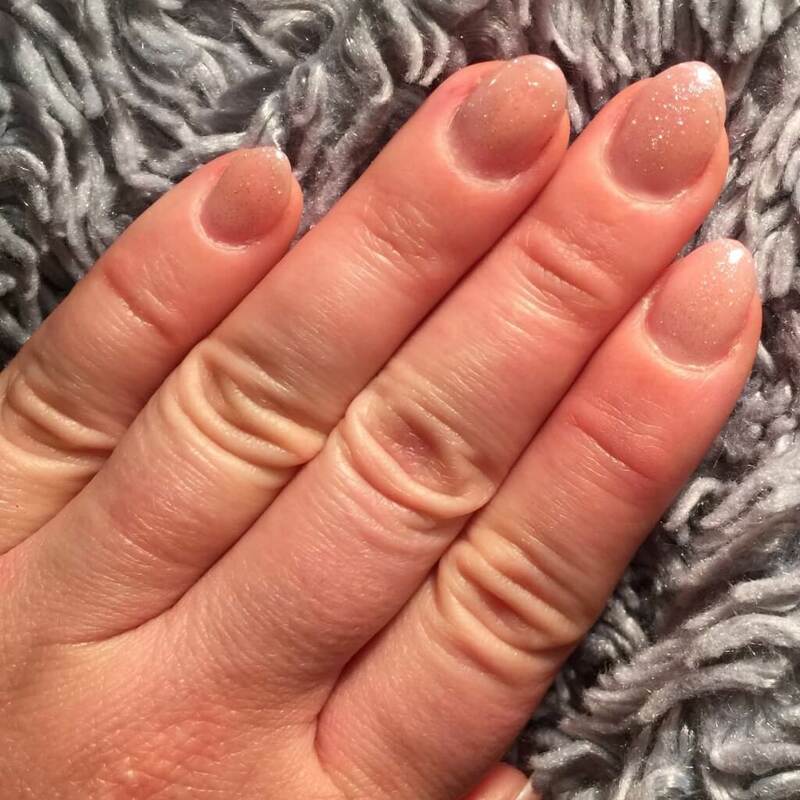 This is amazing for me–I would have used my Orly GelFx gel polish in the past and would have had to cure each individual line seperately. I could have possibly used acrylic paint but I like GelPlay much better because it doesn’t dry out at all…if you don’t like something you’ve done all you have to do is wipe it off! Needless to say, I am thinking HARD about switching over completely to Akzentz! I talked to Liz at The Nail Hub and she confirmed my thoughts that the Akzentz Options gel polish line is amazing and that the colors go on opaque in two coats with no curing issues. I used Gelish Fashion Week Chic on my awesome client Trisha the other night and wanted to throw it out the window! It would not cure right to save my life! It could have been my old lights causing part of the problem though too. I think I am going to order this light from Amazon and start slowly switching over as my budget can afford it. Young Nails Synergy Gel Cures in LED! Here’s a random tip for you Young Nails users…I’m probably the last one that figured this out and it’s old news…but yes it’s true, all the Synergy Gel’s cure in an LED lamp! Amanda Dodge at Glitter and Bliss told me everything but base and Finish would cure in an LED but the heat spike is horrible so most poeple don’t do it…but I wanted to try it out on myself just to see what would happen. I figured I would try curing base just for the hell of it and sure enough it cured perfectly! Next I used Concealer Pink Synergy Gel and flashed it SUPER fast since it was a thicker coat. I mean I seriuously placed my hand in for 1 second and pulled it right back out. There was a slight heat spike as long as I did this 3-4 times and then I left my hand in for 60 seconds (my LED lamp is the first generation Gelish lamp and it’s not very powerful.) I cured Finish as well and everything cured perfectly! I left evverything in for 60 seconds but if you have a newer light with more LED bulbs like the one I posted above you might be able to get away with 30 seconds. I’ll check into that some more though or if anyone knows otherwise feel free to pipe up! Young Nails Concealer Pink Gel is Gorgeous! Here are my current nails, inspired in part by the adorable Cass Miller. My AWESOME client Stephanie is the brains behind this new App called Tidbit that you really need to check out! I’m going to start using it for my clients which will allow me to send out notifications and let everyone know when I have an instant opening or special. The company is going to be awesome and I’m just so excited for Steph! Thanks so much for reading and as always if you have any questions let me know! Happy Friday! 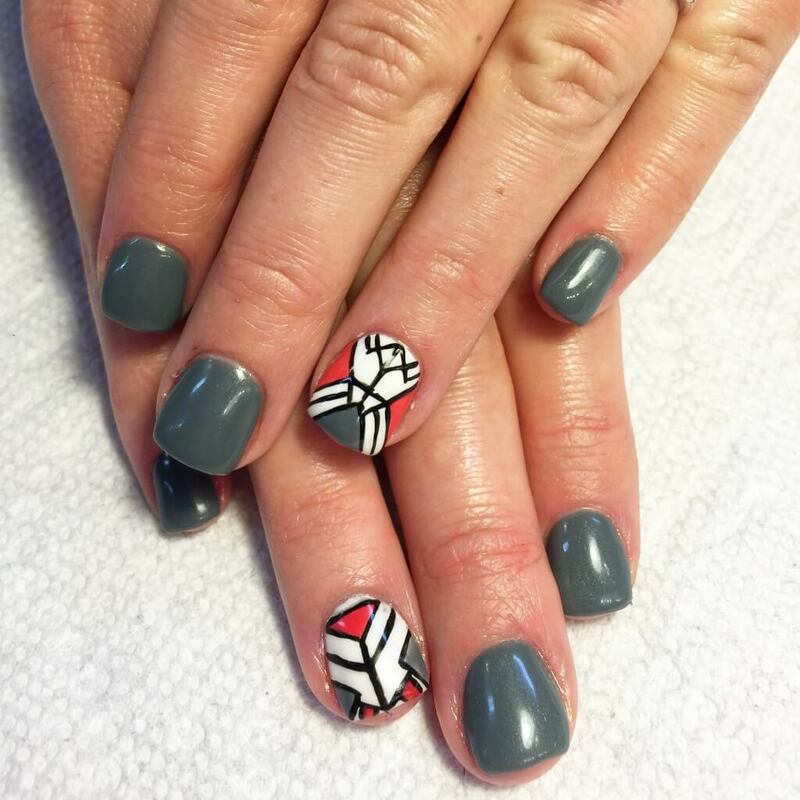 This entry was posted in Beauty Products, Chic Nails, Gel, News and tagged akzentz, gelplay, matte it off, Nail tech, young nails.